A woman suffered neck, back, head and shoulder injuries allegedly after the driver of a tractor trailer struck her vehicle, according to a recently filed complaint. Melanie Glover filed a lawsuit Dec. 2 in St. Clair County Circuit Court against Steve Reed Trucking, Steven Reed and Leonard L. Rathke. In her complaint, Glover alleges Reed was driving west on Interstate 64 in St. Clair County when the tractor-trailer he was driving crossed into the right-hand lane of westbound traffic and struck her vehicle. Because of the collision, Reed suffered serious and permanent injuries, incurred medical costs of more than $240,742 and lost her mobility, according to the complaint. She also experienced pain and suffering, lost wages and her earning capacity and lost the joys and pleasures of life, the suit states. The defendants negligently drove too fast, failed to keep a proper lookout, failed to warn of his impending approach, failed to keep the tractor-trailer under proper control and failed to drive in the proper lane, the complaint says. In her complaint, Glover seeks a judgment of more than $150,000, plus costs and other relief the court deems just. 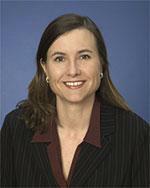 Attorney Julia M. Kerr, of Brown and Crouppen in St. Louis, will represent Glover. St. Clair County Circuit Court case number: 14-L-773.